Marty and Hailey spoke in their singles ward today in sacrament meeting. It is their last week in the Morningside YSA ward as it will be stake conference next week and then the following week they will get married. They were assigned to speak on courtship. The ward is a large single adult ward and the building was full today. They did a great job and Deb and I sat in the back and listened to the meeting. It is the type of moment that a parent enjoys and that brings a great deal of satisfaction to them as they listen to their son and soon to be daughter-in-law bear their testimonies. I will miss having Marty around here at home as he has not been home that long from his mission. 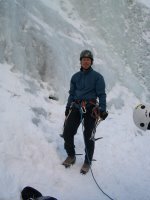 Fortunately he and Hailey will live close by as they attend Dixie State College and hopefully they will stop by often and that Marty will still get out with me either climbing or mountain biking,etc. 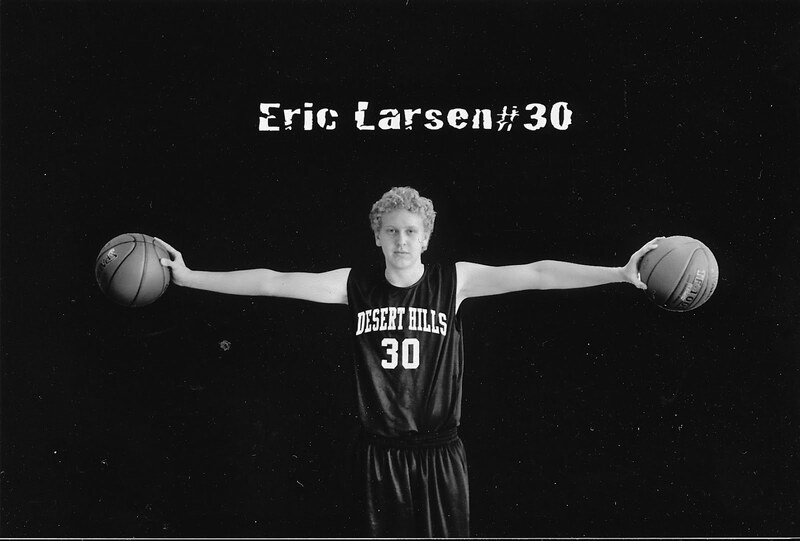 Eric is about to finish his 9th grade season on the basketball team for Desert Hills Middle School. It has been an interesting year. More wins than losses, but several of the losses where by only one basket. That kind of stings. 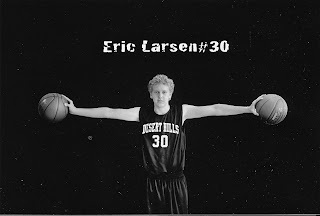 Several good players competing for playing time including Eric. He generally had a good year and will likely continue to be an integral part of the basketball team at Desert Hills High School next year. He is still one of the bigger kids on the team and certainly one of the strongest. He has a good vertical jump too. Many of his practices were at 6 a.m. in the morning. This required good discipline, especially at night when he needed to get to bed early (usually around 8:30 p.m.). Deb won't miss those early morning rides to school I'm sure. I am also proud of the fact that he continued to make the Honor Roll while playing basketball. It has been fun to go to his many basketball games this year even if I have had to cut away from climbing or snow boarding early on several occasions.